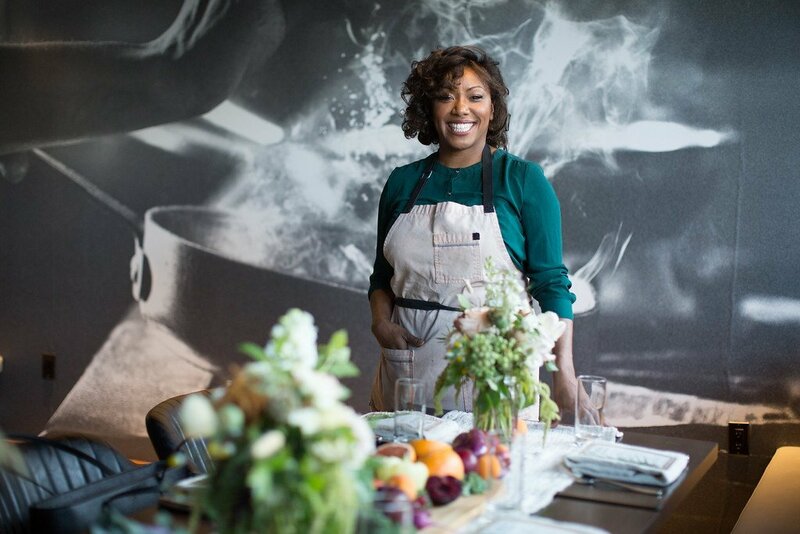 Disclosure: We partnered up with Unilever to bring you this exciting spotlight featuring Chef Nyesha Arrington! Thank you for supporting our work here at Food Heaven. 1. Tell us a bit about yourself. How did your career path lead to you being a contestant on top chef? Born and raised Angeleno, I have loved cooking since the age of five. I remember sitting in my parents car, looking at restaurants as we drove by, and I thought to myself one day I would like to have a restaurant. As soon as I graduated high school, I went to culinary school and never looked back. The first day I sat in class felt like I was exactly where I was supposed to be in life. Like I was living out my true destiny. After culinary school I started to align myself with the best chefs in the industry. I wanted to experience all echelons of dining experiences. In 2009 I was asked to do Top Chef, which I turned down, fearing that I wouldn’t continue to learn and progress as a restaurant chef if I took the opportunity at such a young age. Later, in 2012 Top Chef came around again and I was living in Hawaii at the time. I flew back to LA to interview and made it on the show! 2. What is your food philosophy in 6 words? Authentic, thoughtful, cultured, native, sustainable and progressive. 3. You come from a creative family and have an artistic background yourself. For example, we read that you took on sculpting, watercolor, pointillism, and photography classes. How has this creativity influenced your cooking? I look at plates as canvases, using food as my medium of self expression; the creative process includes balance between texture, temperature, color, and structure. 4. We’re both dietitians and believe in the power of food as medicine. But as intuitive eaters, we also believe that food is so much more than health. For example, pleasure is a perfectly valid reason to eat. Do you make a conscious effort to balance health with flavor? I believe food is medicine. I believe food should be used to nourish the soul. Balance is the key and I use both practices when coming up with a dish. 5. Let’s talk about your recent restaurant opening in LA. Which, by the way, congratulations on that huge accomplishment! 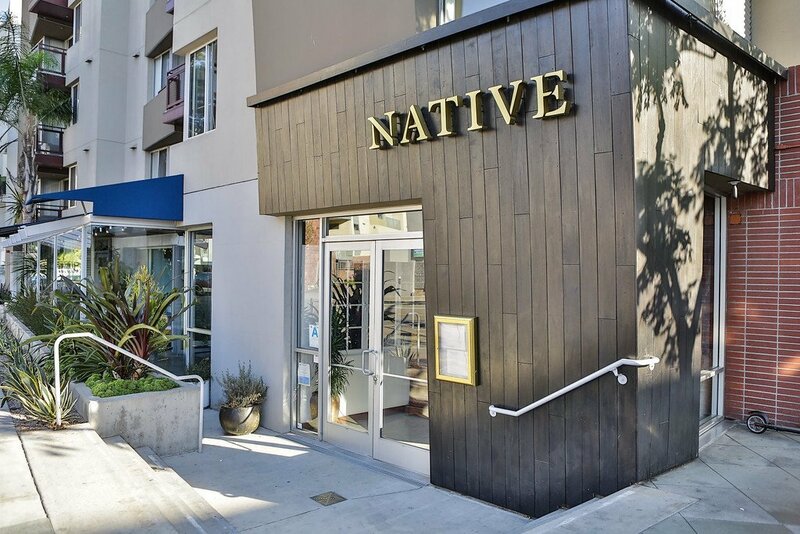 You call your restaurant, Native, an Expression of Love Through Food. What experience can diners expect when they eat there? Diners can expect to come enjoy flavors from world through the lens of the Santa Monica Farmers Market. My food is intended to hug the soul. 6. 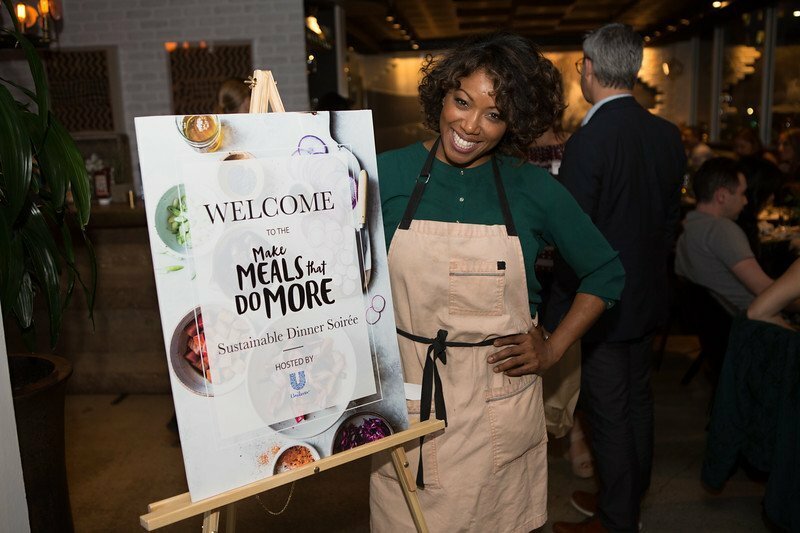 You recently partnered with Unilever for a campaign called Make Meals that Do More. Tell us more about the program and what you hope to accomplish. I hope to accomplish a legacy through my cooking. Partnering with companies like Unilever that are passionate about food sustainability allows a new dialogue between the chef and brands. We are able to influence how companies are executing their products, and how those products affect our food system as a whole. 7. We know that you’re a big advocate for sustainability. In fact, we saw that you hosted a sustainable dinner party over the summer with attendees ranging from RDNs, farmers and food influencers. What tips do you have for our readers about incorporating sustainability into food and cooking? I LOVE hosting dinner parties! The best way to use sustainable practices is to know where your ingredients are coming from and then cross utilize products. For example, carrot and radish tops make a great salad! 8. For the home chef, what are your go-to pantry staples for quick weeknight dinners? Since I am cooking all day, quick weeknight dinners for me generally include things like egg salad sandwiches, or steamed rice and kimchi. 9. Lastly, what are three foods you can’t live without? Nyesha, thank you so much for sharing a little bit of yourself with the Food Heaven community!